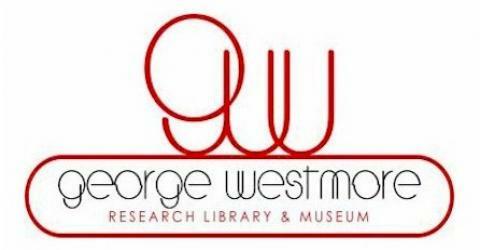 The George Westmore Research Library & Museum, revives the annual “George Westmore Lifetime Achievement Award” and announces the creation of a George Westmore, “Award of Excellence” to be an industry wide celebration of excellence in makeup and hair design. Recipients of the awards were announced at a press conference on Monday, June 23, 2008, at the George Westmore Research Library & Museum in Burbank, California. Certificates as well as statues were handed out before the press and representatives of the media. Monty G. Westmore received a standing ovation when he accepted the first George Westmore Lifetime Achievement Award at the inaugural Hollywood Makeup Artist and Hair Stylist Guild Awards in 2001. Since the time Monty received his award the Makeup Guild has not focused on recognizing it’s members achievements. The awards recognize individual, excellence in Motion Picture, Television, Theatrical Stage, Live Performances, Opera, Print Publication and Advertising, which includes a Lifetime Achievement Award. Pioneers of their industry, Johnny pointed out that – “…Westmores not only created, but defined the role of makeup artists in Motion Pictures.” Wigmaker, George Westmore made history when he opened the very first makeup department in 1917 at Selig Polyscope Studios. George’s oldest sons, Monte, Ern, Perc, and Wally went on to open their own makeup departments at Warner Brothers, RKO, Fox and Paramount. By the 1930s nearly every motion picture studio employed a Westmore heading up their makeup department. In 1935, the Westmore brothers teamed up to open the most opulent salon of its time, gllamour mecca; The House of Westmore on 6638 Sunset Strip. Bud Westmore ran the makeup department at Universal for 24 years where he helped create the Creature from the Black Lagoon. Youngest son, Frank was a freelance makeup artist and worked with Cecil B. DeMille on The Ten Commandments and wrote a family biography appropriately titled, The Westmores of Hollywood. The third generation Westmore’s brothers, Monty Jr., Marvin, and Michael have all made their own significant mark in Hollywood. Monty Jr. was personal makeup artist to Paul Newman and Joan Crawford (Monty passed in 2007). Marvin created the fashion forward makeup for the epic film, Blade Runner,past president of the Makeup & Hair Stylist Guild #706, Founder of The Westmore Academy and the George Westmore Research Library & Museum and Michael was behind alien creations on the Star Trek series and won an Oscar for his work on Mask. The fourth generation Kandace, Kevin and Pam are also making contributions on television and in the movies. The Hollywood Walk of Fame is a sidewalk along Hollywood Boulevard and Vine Street in Hollywood, Los Angeles, California that serves as an entertainment hall of fame. It is embedded with more than 2,369 five-pointed stars featuring the names of not only human celebrities but fictional characters honored by the Hollywood Chamber of Commerce for their contributions to the entertainment industry. The Walk of Fame is maintained by the self-financing Hollywood Historic Trust. The first star, awarded on February 9, 1960, went to Joanne Woodward.